PM’s Package for creation of employment opportunities. This scheme envisages the development of Fisheries in natural waters and also for augmenting fish production under controlled conditions i.e. pond Fisheries. 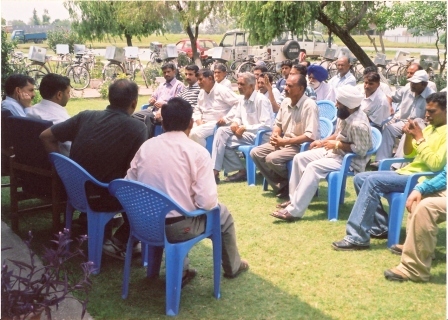 Under this programme, the Department of Fisheries has taken up development of Carp Fisheries and Trout Fisheries. Besides this, other types of Fisheries viz; Reservoir Fisheries, recreational Fisheries has been also brought under this scheme. For development of Cold Water Fisheries, the Department has taken up construction of new Trout rearing units and also up-gradation of existing units to increase their rearing and hatching capacity. Besides this, the Reservoir Fisheries (Ranjit Sagar) was also taken up and at present the said reservoir is open to the professional fishermen of the area for fishing on nominal fee. The Reservoir has been generating handsome revenue to the Department and at the same time providing better avenues of earning to the local fishermen. 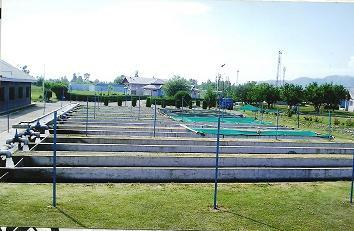 In the field of ornamental Fisheries, the Department took up the up-gradation of Fish Farm at Doomi Akhnoor so that quality seed of ornamental fishes is produced and reared in the aquarium at Jammu and also for sale to the common men for setting up mini aquaria in their homes, offices, hotels etc. 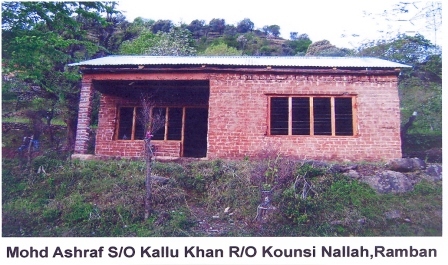 The Trout rearing units at Tchansar Kulgam, Shopian were brought under this scheme. 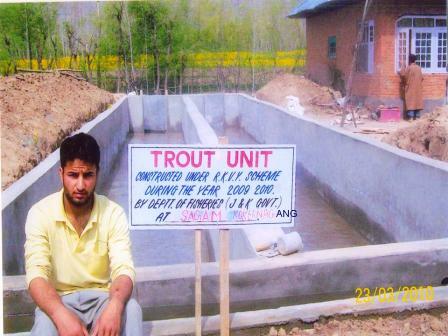 Moreover, few trout rearing units like Kutlari, Mammer, Tchawalgam, Margund, Uri were up-graded to create more rearing space. As a result of this, the Department has been able to sell Trout fish worth 112 lacs during 2008-09. 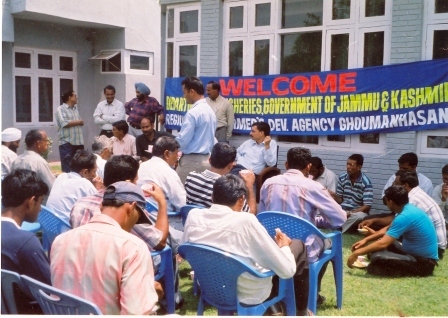 Moreover, recreational Fisheries park at Gulmarg was also established to promote Sport Fisheries in the State. The fund pattern of this scheme is 75:25 between Central and State Government. The Department of Fisheries has successfully undertaken the propagation of Fish culture in Private Sector to create employment avenues for educated un-employed youth of the State especially in rural areas under Hon’ble Prime Minister’s package introduced in 2004-05. Under this scheme, the Department had to establish 410 fish farming units in private sector for un-employed youth.The funding pattern was 75:25 between Centre and State. Against the target of 410, the Department established 481 ponds and the fish farmers were provided seed, feed, equipment and training. The scheme has given encouraging results and there is a great response from the public especially the youth for taking up fish culture as a reliable source of income. This has also given a boost to the Fisheries in private sector. Under this scheme ,the Department provides technical know-how to the progressive fish farmers and organizes training programmes to motivate unemployed youth to take up fish culture as a viable activity. The department also provides fish seed to the progressive fish farmers on nominal price. This Centrally sponsored scheme was introduced in the State during 1996 to provide Low cost houses to the poor/houseless fishermen for upliftment of this backward community. The funding pattern of the scheme is 50:50 as central and state share. The initial cost of the scheme was Rs 35000/- which has been enhanced to Rs 50,000/- per beneficiary. The benificiary should be a bonafide fisherman registered with the department for atleast 5 years. Besides, housing scheme, the professional fishermen of the State are provided fee Insurance cover and in the event of death and permanent disability during fishing, the beneficiary is paid Rs 1.00 lac and Rs 0.50 lac respectively. So far 205 claims have been settled and Rs 65.00 lacs distributed among the beneficiaries. The Department of Fisheries for the first time introduced the Centrally Sponsored Scheme of Rashtriya Krishi Vikas Yojana in the year 2009-10. Under this Scheme financial assistance for establishment of Carp Units, Trout Rearing Units and Low Cost Houses is provided to the Rural Educated Unemployed Youth. 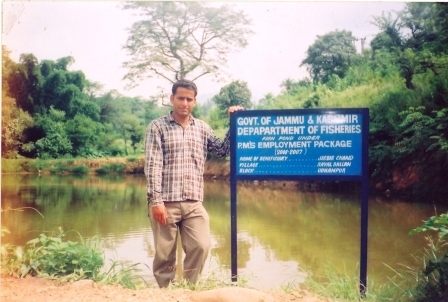 Pattern of Assistance for Trout and Carp Unit under RKVY (NMPS) Scheme.